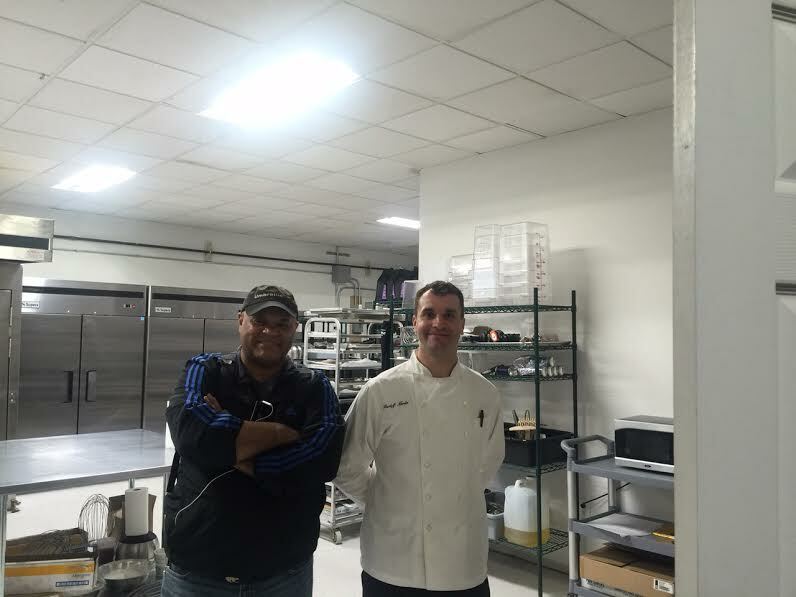 Chef Rudy joins the team of 3d food printing experts! Here he is pictured with our co-founder Maurice Bey. He is the co-founder of a bakery in Queens, New York, and is writing a book on culinary techniques. His specialty is in French cuisine and pastries. He will be creating a sample menu and developing a set of blue ribbon recipes! Delicious! Welcome to the future of food! ← We moved into our new offices!